Mizon Oh! Shy Lady Aqua Layer Foundation (SPF25 PA++) in 21W Light Warm Beige - Achieve a gorgeously natural glow with an aqua gel-based foundation meant to highly hydrate and absorb quickly into your skin for a sheer, radiant finish. Lightweight, perfect for all skin types, and a dream to blend with easily buildable coverage, it’s also got SPF 25 PA++ for extra UV protection making it the perfect partner for days you have to be outside. Net Weight: 55 ml. Get it HERE. Hello guys! 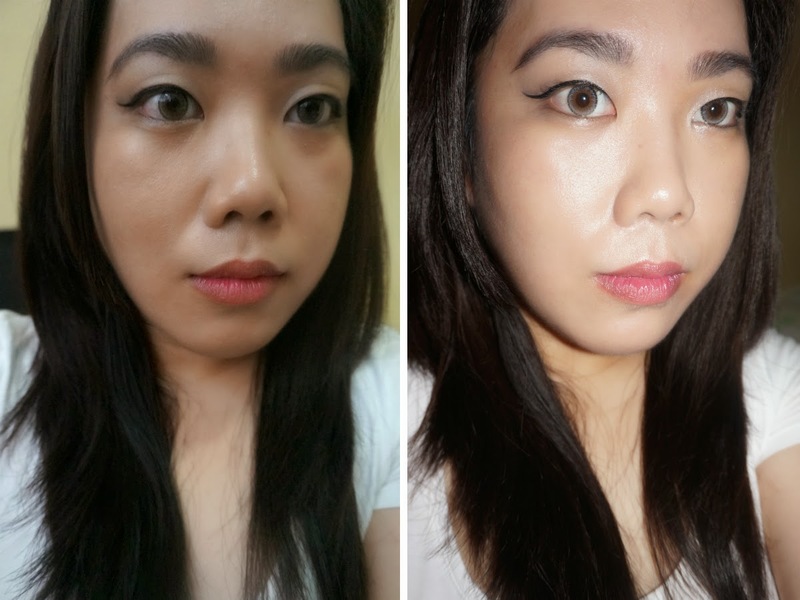 It's been awhile since I've posted a decent review/post here so I'm making up with a review of a foundation. For today, I have Mizon Oh! 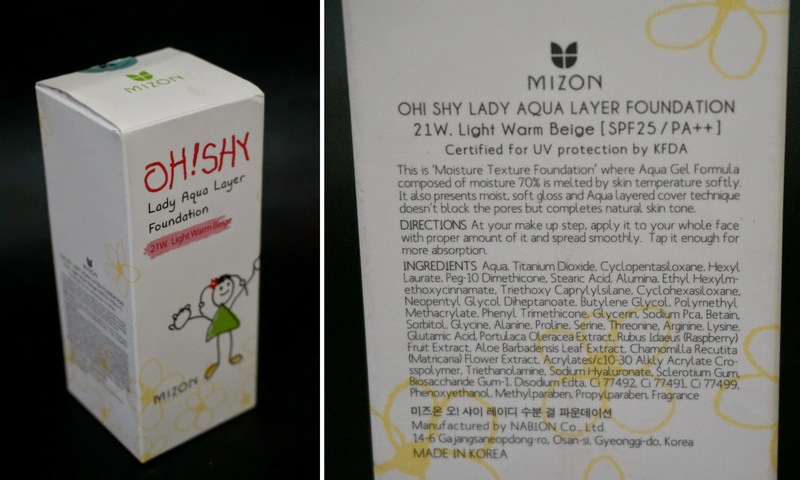 Shy Lady Aqua Layer Foundation. 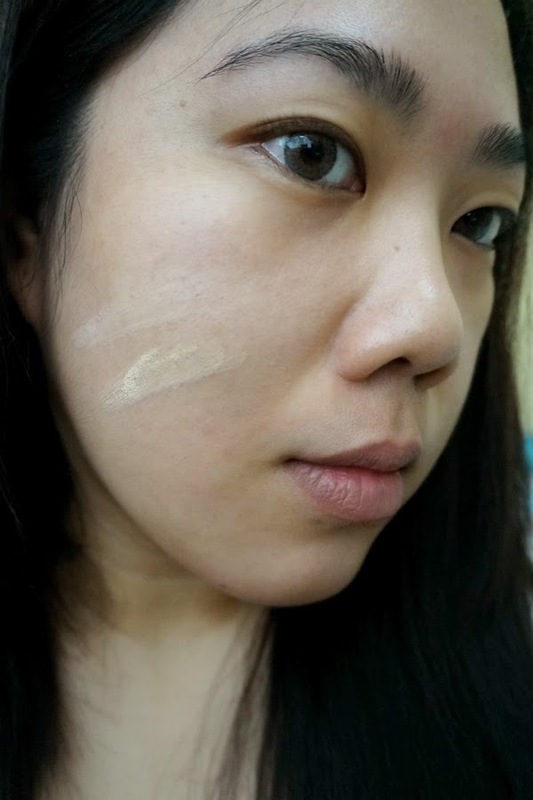 Like most Asian makeup, the shades available for this foundation is limited - only three. I got the lighter, warm-toned 21W Light Warm Beige. The foundation came in a glass bottle. The box had English translations on it. I appreciate that because I always want to read information about the products that I buy. Directions: After basic skincare routine, apply all over face with fingertips or foundation brush. 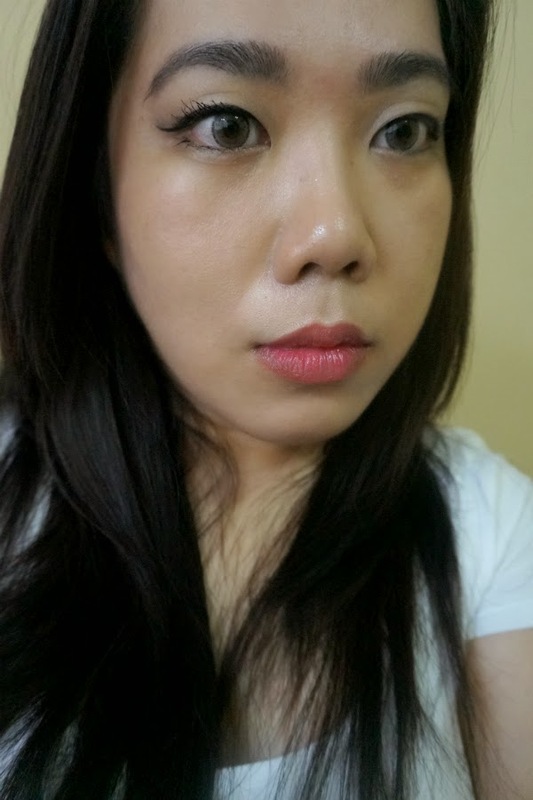 Let dry before apply more or a finishing powder. Texture: This is quite thick and not runny. It felt gel-like to the touch, rather than liquidy. The foundation required a bit of blending but it was not difficult to spread. 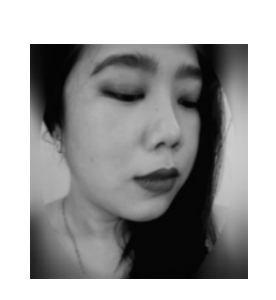 I feel that my skin absorbs most of the product because I used about two times (maybe even three times more) the product that I normally use to cover my whole face. It seems to disappear on my skin as soon as I pat it on. At first contact, I felt a cooling effect. Upon application, this felt more like a moisturizer rather than a foundation. It didn't feel heavy nor oily and greasy on my face. I think the moisture (water?) content is responsible for the very comfortable feeling that this foundation gives. 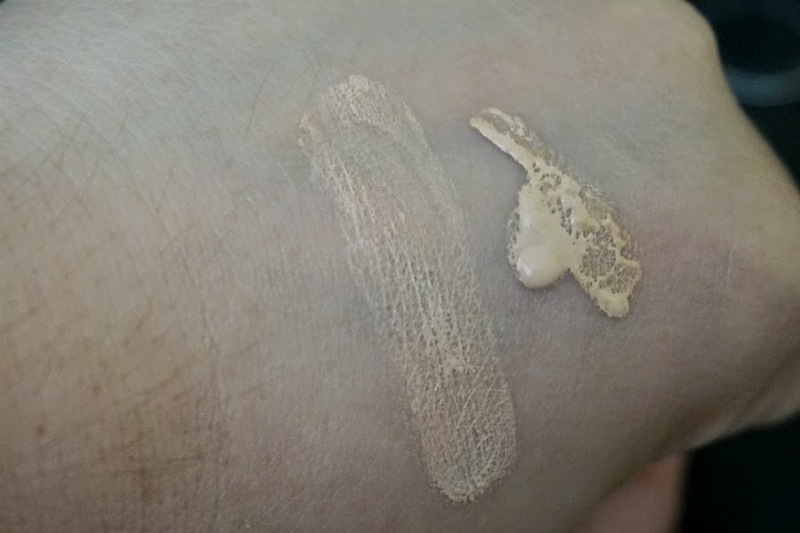 Coverage: This foundation provided light/medium coverage. I don't like heavy-feeling foundations or cream so this is perfect for my needs. 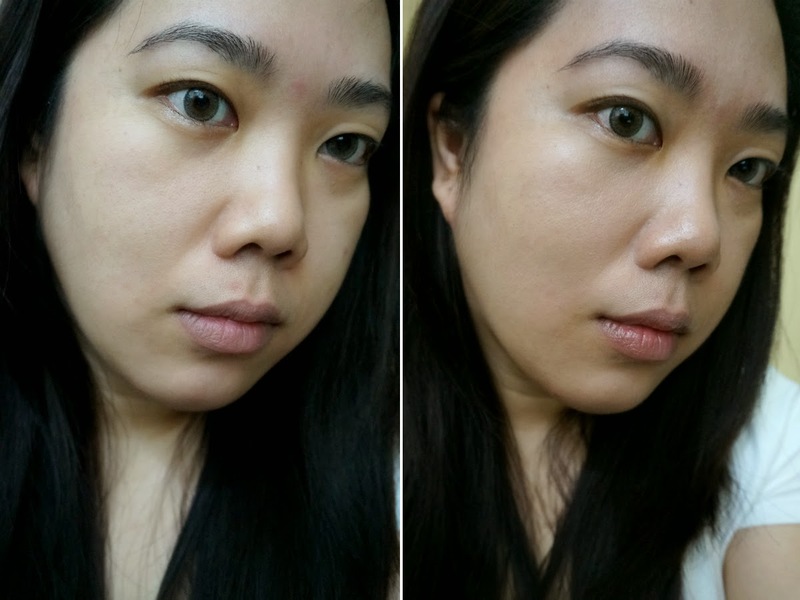 It was just enough to even out my complexion and hide some lighter blemishes, dark patches and a bit of redness. It didn't totally cover my dark under eye circles but I'm okay with that. The overall effect is a natural-looking and smoother finish. Overall: Mizon Oh! Shy Lady Aqua Layer Foundation in 21W Light Warm Beige delivered on its promise of being absorbed quickly and providing your skin of moisture. It feel more like a light moisturizer and the gel-like texture felt light on my skin while providing adequate coverage for minor imperfections. It lasted up to four hours, under humid and hot weather. This product is perfect for those looking for a light-coverage, everyday foundation.